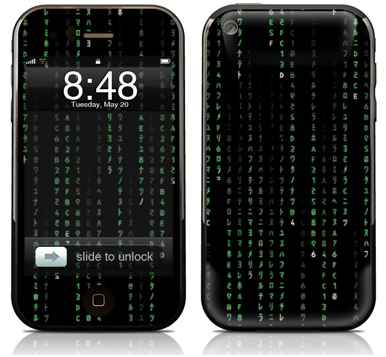 On my recent hunt for some images to be used in our latest site upgrade, I happened to stumble upon what looks like a very cool way to deck out your iPhone, iPad or iPod touch with a Matrix style skin. I’ll be honest, I’m not overly crazy about having the front of the phone covered up with falling letters, even though in concept it sounds like a good idea. I guess I’m just a little too practical. However a quick mod with a ruler and a razor blade you could easily take care of the main screen content area. I’ll have to order one as their dirt cheep for under $10 and post a review or photo once I get it installed. Tags: ipad, iPhone, ipod, matrix, skin. I was wondering if you ever thought of changing the page layout of your blog? Its very well written; I love what you’ve got to say. But maybe you could do a little more in the way of content so people could connect with it better. You’ve got an awful lot of text for only having 1 or two images. Maybe you could space it out better? 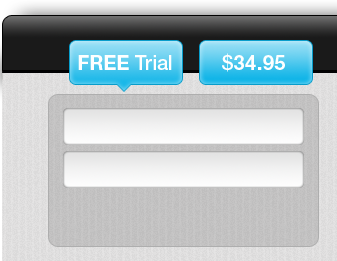 Yes, I will agree this format is not exactly the ideal for a blog. But I prefer to keep the narrow column for content as I prefer to read text in this way and I have future plans for the right side of the blog. Thanks for your input though.